Metso’s slurry pumps are heavy and robust centrifugal pumps, capable of handling tough and abrasive duties. Designed for excellent performance, low energy consumption, long wear life and easy maintenance. Our horizontal and vertical pumps serve a wide range of slurry transport applications. 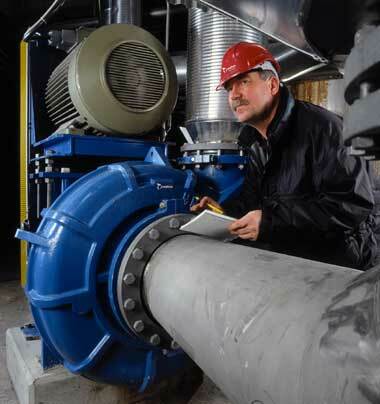 We also offer engineering consultation and state-of-the-art pump sizing and selection software. Various designs are available to cover all hydraulic transportation needs in the widest variety of process applications including grinding circuits, tailings disposal, filter feed, dredging, hydro cyclone feed and general slurry transfer. We are the OEM with original drawings and design details for the following brands: Metso, Svedala, Denver, Sala, Orion and Thomas.